So-called “short-fill” products have not caused a reduction in the number of nicotine-containing e-liquids being notified in the UK, according to an expert from the agency in charge. 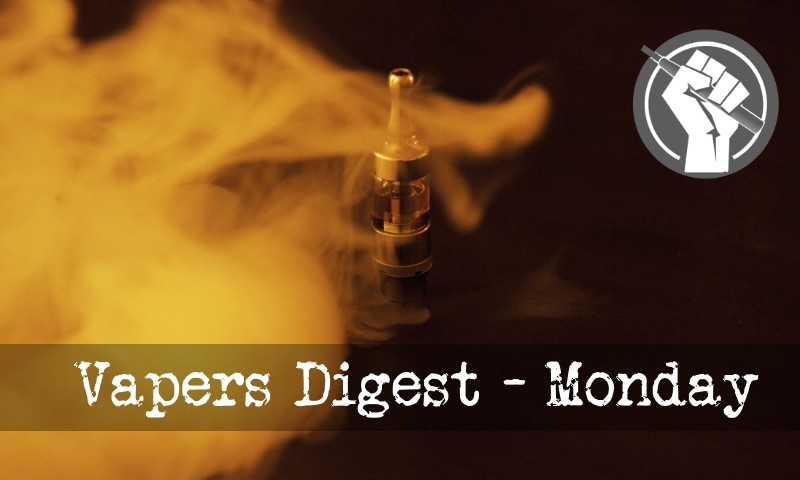 In fact, the number of notifications for e-liquids in 2017-2018 is higher than the agency predicted, according to Craig Copland, e-cigarette unit manager at the Medicines and Healthcare Products Regulatory Agency (MHRA), which is responsible for EU Tobacco Product Directive (TPD) notifications in the UK. The Philip Morris tobacco company is used to being attacked by public health campaigners. When it announced its intention to move away from traditional cigarettes, the news was greeted with cynicism and derision, but has its recent advertising campaign crossed yet another line in the sand? One of the most damaging anti-vaping lies being told by tobacco controllers is that vaping or trying vaping causes smokers to become less likely to quit smoking. This is absurd on its face, given the low background rate of smoking cessation and the millions of former smokers who have switched to vaping. The evidence that supposedly supports the claim clearly does not do so. UK MPs on the Science and Technology Committee sit for the final time on Monday to gather more evidence on e-cigarettes and vaping. The session will be split into three parts with the last one giving the sitting MPs the chance to quiz Health Minister Steve Brine MP on the UK Government’s current policy on vaping. One of Britain’s biggest makers of liquids for e-cigarettes is aiming to cash in on the boom in vaping by listing its shares on the London stock market. Manchester-based Supreme, which is 100% owned by its chief executive, Sandy Chadha, is expected to have a market value of £150m when it floats on Aim, the London Stock Exchange’s junior market, in mid- to late May. What if you had to opportunity to save lives and positively affect people daily while providing a life for your family and employment/career for people? This is what the vapor industry has done for my wife and I. A Maryland school is facing criticism over privacy concerns after removing the doors from their bathrooms in an attempt to stop teens from vaping. Officials at Broadneck High School in Annapolis, Md., said they are concerned about a rise in student use of vapor products and want to discourage students from vaping or “juuling,” which refers to the poplar e-cigarette brand JUUL. The school removed half of their main bathroom doors Tuesday and said they will remain that way indefinitely, reported the Capital Gazette. In vitro cell transformation assays (CTA) are used to assess the carcinogenic potential of chemicals and complex mixtures and can detect nongenotoxic as well as genotoxic carcinogens. The Bhas 42 CTA has been developed with both initiation and promotion protocols to distinguish between these two carcinogen classes. Cigarette smoke is known to be carcinogenic and is positive in in vitro genotoxicity assays. Cigarette smoke also contains nongenotoxic carcinogens and is a tumour promoter and cocarcinogen in vivo. Nicotine addiction through e-cigarettes among young people may lead them to try conventional tobacco products, the Delhi High Court has been informed by the Union health ministry, which said it was considering a ban on the item. The City Council passed legislation last August that requires all vape retailers to apply for a license by Wednesday. Only retailers who were selling e-cigarettes as of Aug. 28, 2017, are eligible. Pharmacies or businesses containing pharmacies are not eligible and will be prohibited from selling any related products beginning Aug. 23. The Foundation for Economic Education published an interesting essay last week on the nature and politics of authoritarianism and how it is not the sole preserve of the politically left or right. The tract is primarily focussed on the US but it works just as well for this side of the pond. Here are some extracts which will be easily recognisable by fellow jewel robbers…. The IMO recognises e-cigarettes as a potentially effective tool for smoking cessation and a far safer alternative to tobacco. The burden of tobacco harm in Ireland continues to be high and any intervention that reduces this toll should be welcomed….